EBS is not a one-person operation out of our home. EBS is comprised of professional administrative associates and a team of small business owners, community leaders, financial professionals and management level personnel. You can rest assured knowing that EBS hires only the best of the best. Our dedicated staff will provide you with a superior level of service and unmatched quality. In 1985, Essential Business Services was incorporated by Christie Schmidt as a home based business to aid individuals and other small businesses with administrative, word processing and bookkeeping needs. During this time, personal computer ownership and software knowledge was low and companies were just launching into the technology age. The timing was perfect for an administrative support company to emerge into the market. 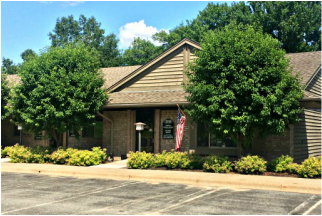 EBS grew out of its home office after just 2 years moving into it's first executive office suite in Roseville. In 2011, EBS expanded again into its current office space in Saint Paul, MN. Most impressively, EBS grew on client referrals alone, without any paid advertising! Even to this day, the majority of EBS's clients continue to come through referrals. How the times have changed since 1985. In this age of technology, if you don't own a computer or are not utilizing technology to make your life and business more productive, you are behind the times! EBS has continued to evolve with the market, though still providing necessary services, such as data entry and administrative support. They expanded their services to include full accounting/bookkeeping services, business consulting, HR support and then most recently added website design and search engine optimization. Copyright © 2015 Essential Business Services of Roseville, Inc.